NBA Playoffs: Bulls at Pacers Game 3 | Have Game? Will Travel! 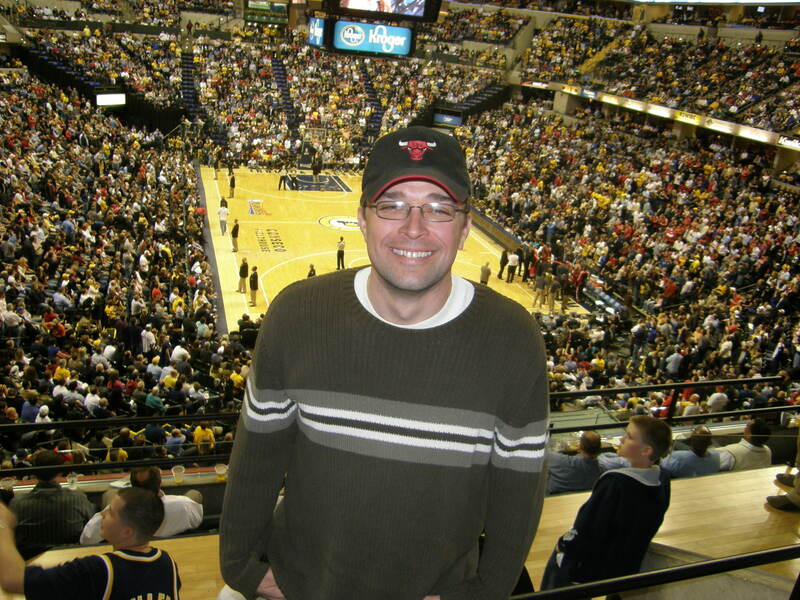 With the Bulls playing in “nearby” Indianapolis, I decided to make the drive for Game 3. I chose Game 3 over Game 4 since the Cubs are home Saturday afternoon and I would only drive down for one of the two “road” games. Thinking tickets would be cheap, I drove down without a ticket (as usual). However, to my surprise most scalpers were asking for $100 per ticket even though there was a lot of supply on the streets. Finally I decided to check the box office since tickets on the street were at least twice face value. They had a ticket in the Legends Club for $141. The Legends Club is the Pacers version of “all-inclusive” meaning all you can drink and eat. I figured I should splurge on the seat since it was not much more than the tickets on the street – plus I would get “free” food and drinks. Note: I am starting to think buying on StubHub may be the way to go for the secondary ticket market. Recently tickets are cheaper on StubHub than the brokers are willing to sell on the street. I’ll be deciding whether this is the correct strategy in the upcoming months. By the way, the Legends Club at Conseco Fieldhouse is awesome. It’s behind the basket, but you have a seat and the Pacers provide unlimited food and drinks. The food could be better but the value is far greater than buying a similarly priced ticket on the lower level. The Bulls took a 3-0 lead in the series defeating the squeaking by the Pacers 88-84. The game was tied at 84 when Derrick Rose scored the go-ahead layup with 17.8 seconds left in the game. Danny Granger missed a last second three-pointer to win the game for the Pacers.